Wondering who you need to know and what your company needs to take your product to a global market? We’ve got you covered. Kentucky has made a major push to encourage small businesses and entrepreneurs to explore foreign markets. From the Kentucky Export Initiative, Global Cities Initiative, and the US Small Business Administration STEP Grant Program. Since 2011, over 200 Kentucky companies have tapped the funds from the STEP Program to fund a variety of trade services. Time has never been better to start selling to a global audience, and take your business to the international stage. 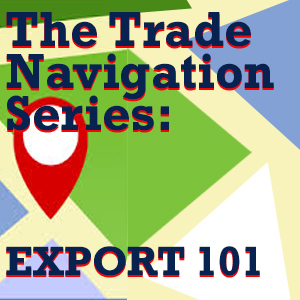 Our half-day primer will provide everything needed to identify international markets, classify your product, and properly determine logistics, tariff costs and documentation to safely start exporting. We’ll also connect you with local resources to make the process easy! Step-by-step assignments and complimentary consultation with World Trade Center Kentucky staff are provided to make your product export-ready for the safe entry into global markets. Coffee and Light Breakfast Items will be provided. Please note that there are no refunds after October 10, 2019. We look forward to seeing you at the event!